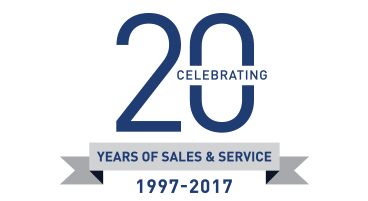 Once again this year, Lee Marine is pleased to have attended and given donations to the Education Fund for Poor Children. 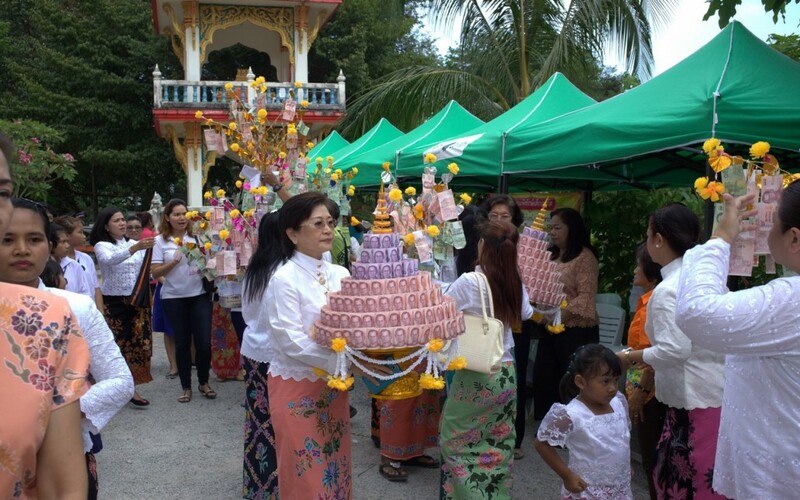 The ceremonies were held recently at Vichit Sangkraram Temple, Wat Kuan in Thai language. The Pha-Pa Ceremony, known as Picked-Up Robes Offering Ceremony or Robe-Offering ceremony, is a main merit-making event for Buddhists. Both local villagers, some dressed in local Nongya Baba and southern garb attended along with government officials. 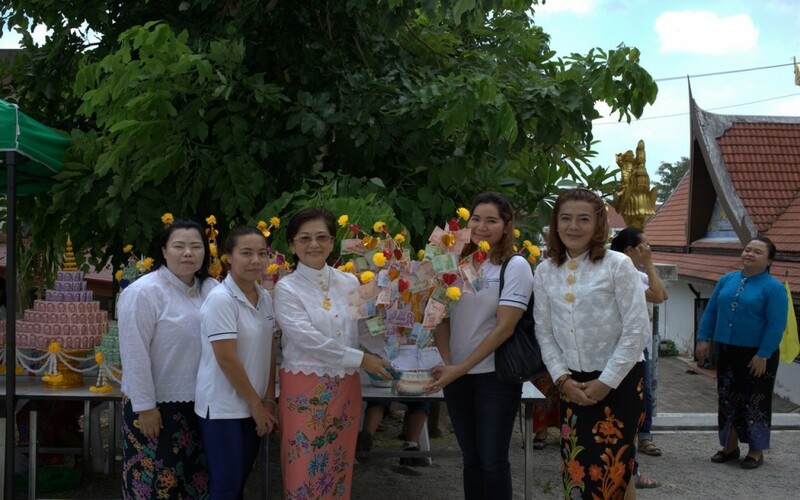 The ‘money trees’ or kathin trees, were paraded and presented to the charity’s officials. The trees boosted the charity’s funding by over B320,000. 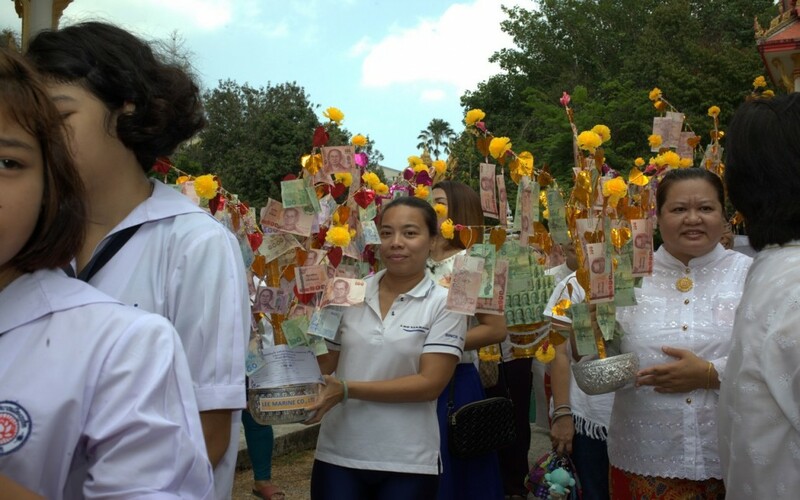 In addition, cash gifts of appreciation were accepted by the monks as were robes and basic supplies. A gesture of thanks from the people for presiding over this ceremony. Also officiating was Dr Supalak Kanjanamethakul, the President of Child Watch Phuket. The local people, stood tall with pride on this day and continue their good community work. Lee Marine is pleased to give-back to the community and this worthy cause.